OPEN CASTING CALL FOR NEW KIDS & TEENS WILL BE ON SATURDAY, MARCH 21st 2015! 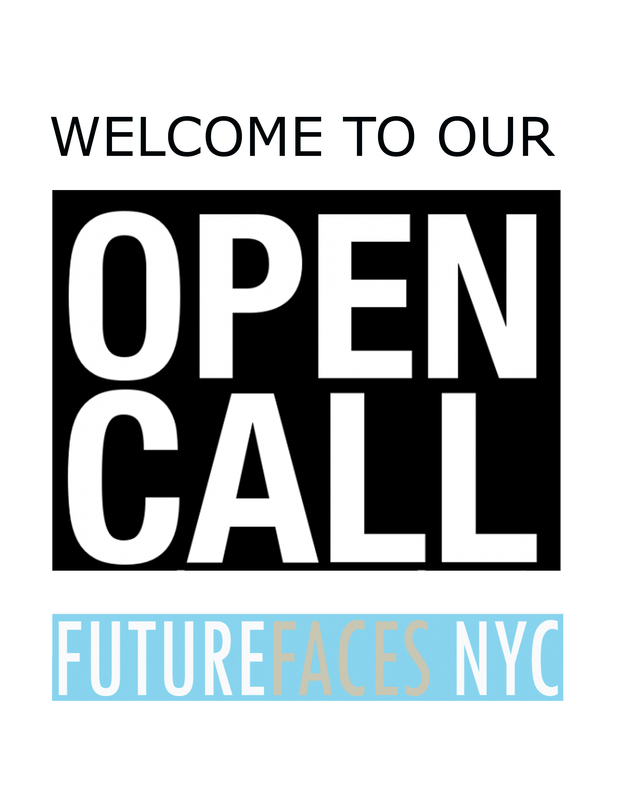 LOVE FUTURE FACES NYC AND THAT WE HAVE SUCH A HUGE INTEREST FOR ANOTHER OPEN CALL!!! FUTURE FACES NYC OPEN CASTING CALL FOR NEW KIDS & TEENS WILL BE ON SATURDAY, MARCH 21st 2015! This OPEN CALL is for boys & girls between the ages of 3 months to 17 years of ALL ethnicities. Please bring at least 2 printed snapshots. Please measure your child before coming to the casting call. Keep your child’s hair natural (no braids), fitted clothes.Please do not come with friends or relatives that will not attend this casting call. ALL talent MUST be accompanied by a Guardian. We’re really looking forward to it. And we hope to see you there! PLEASE SHARE. Future Faces, kids division of Nina Lubarda Model Management LLC was created with a specific vision seen in the beautiful and unique models we represent. Nina Lubarda Model Management and Future Faces divison focus is on discovering new talent and trasforming them into working children superstars. The agency’s signature is a collective approach, leveraging the know-how and industry relationships of the highly professional agents, with a commitment to each client’s long-term objectives. Future Faces NYC has a worldwide reputation as one of the top children exclusive agencies. Nina Lubarda Model Management is well known for their great care of their models and excellent representation. Future Faces NYC has maintained a primary focus on marketing and management of a select group of top children fashion models & internationally recognised names who have developed and expanded their careers into different fields of fashion and other areas including cinema, television, music and a specific & exclusive group of both commercial & editorial image models. Future Faces has always provided its clients with a selection of models based on quality over quantity as well as very personal and individual talent management. Future Faces’s board is composed only of very carefully selected models. Unlike many other agencies in New York, Future Faces NYC has been known for being a “boutique agency” with a different approach. Refusing to be a factory, Future Faces NYC does not sign models with a hit or miss approach in hopes of finding a few that will make it out of the many. Instead, Future Faces NYC carefully handpicks each model with the certainty of them succeeding. Having a firm relationship with all major clients along with a superior eye for scouting, Future Faces NYC is an ideal environment for creating stars. Future Faces TV represents children and young adults. If you are casting commercials, tv series, theatre or film, please call us at 917 528 1458 and ask for ACTING division. Children and Teens we represent are seen in most prestigious camapigns, fashion catalogues, magazine covers and commercials such as ARMANI JUNIOR, DOLCE & GABANNA JUNIOR, ROBERTO CAVALLI, VOGUE BAMBINI, BENETTON and many more.